Being a pacifist by nature, my take on security is rather lofty. I mean, going down for what you believe in is probably not an easy task. So many variables involved… right and wrong… justice, even security…well..I guess its all just still a big question for me. Hmmm.. Perhaps being passive is just an extension of not wanting to initiate conflict, for ultimate fear of rejection. Interesting. Rejection or Death. WTH. Psychology aside, the idea of preventive planting seems not too off base. After all- anything that deters an unwanted guest is a good thing. Which dwelling would you penetrate? The one wide open? No Barriers to the many entry ways? Or the home surrounded by the impenetrable wall of flesh ripping plants? I’d definitely pass on the flesh ripping…. The rest of this story deals with the planting of and ultimate growing success…resulting in this being a GOOD IDEA! 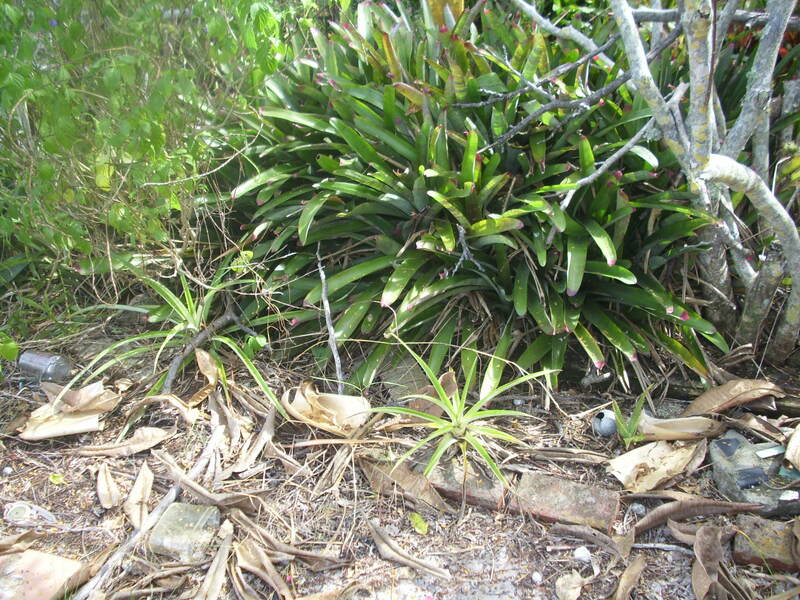 Bromeliads: Planted a circle of them a few years back…and now have an impenetrable barrier encircling the entryway to the house. Looks like a good plan to me. Ultimately, say a four foot wide tract of these plants will most likely keep a foot soldier out. Low to the ground and very sharp, these plants make crossing into your space a challenge, thus deterring any traffic. 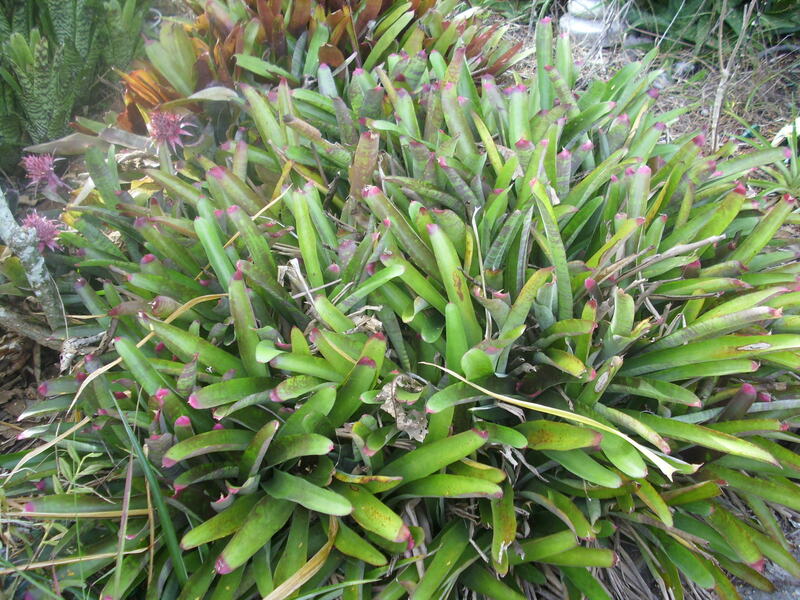 Bromeliads also serve as housing for many insect eating organisms- frogs, for example. Security and bug control. And- they reproduce with no work on your part. Nice combination! 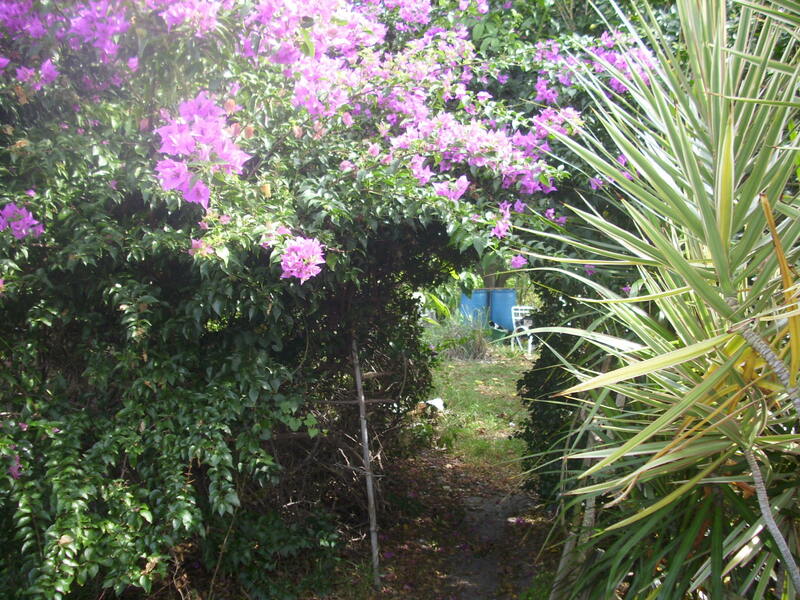 Bouganvilla: Planted some for a fence barrier a few years back- now, it has grown into a natural tunnel… with proper training and a few other plantings, this too can be an impenetratable wall of vegetation- complete with razor sharp thorns. Great security! Much more aesthetic than razor wire itself. Bouganvilla comes in many colors, and is strikingly beautiful with little maintenance needed. Bamboo: WOW. Planted this a few years back as well… a small patch of clumping bamboo has resulted in this jungle of staggered woody stems- impenetratable as well. You couldnt get through THAT! 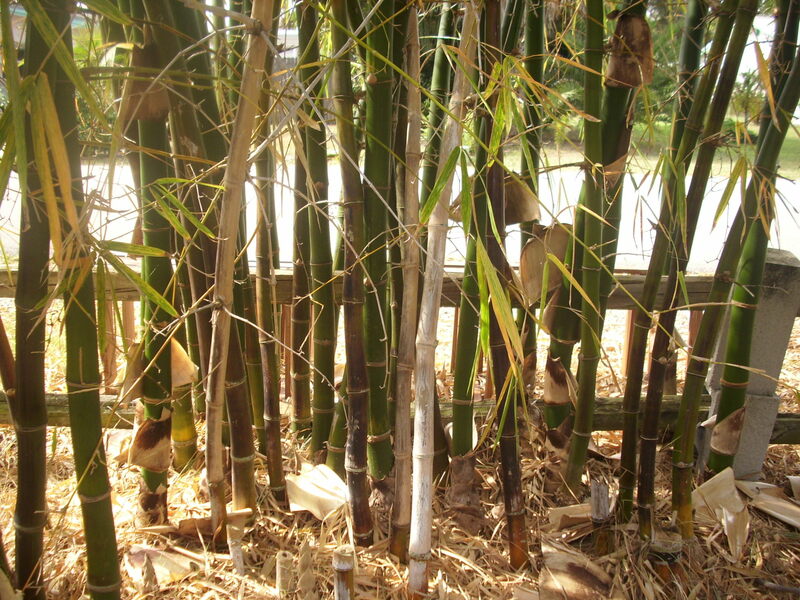 An added plus is being able to use bamboo in your garden..or part of a building project. 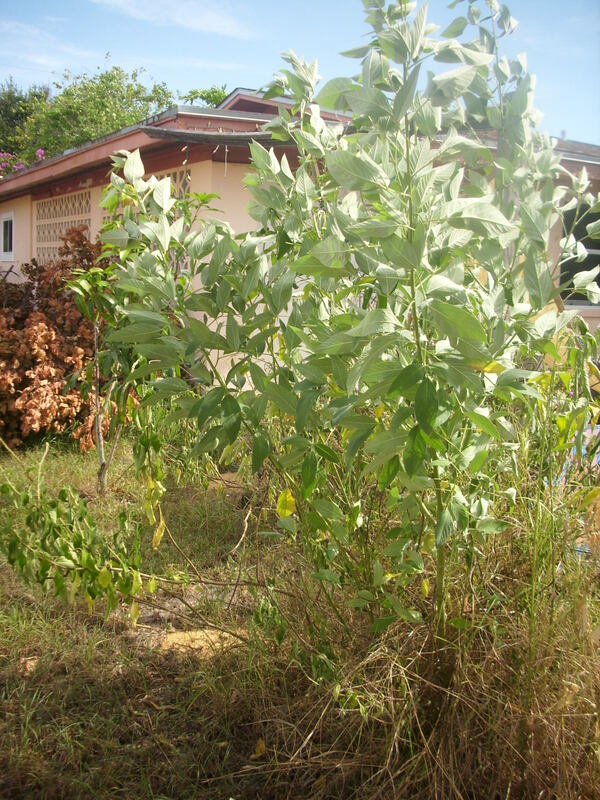 Pigeon Peas: This was a surprise. Planted last season, these little peas turned into a 6 foot tree! I plan to crop off the tops to stimulate some horizontal growth, and plant a bush- maybe thorny blackberries to fill in the space at the bottom. An edible impenetrable perimeter. Even better. This years harvest? Pretty phenomenal. Edible Perimeter Security: Plantings such as the pineapple, the pigeon peas, the thorny blackberries…these are dual purpose for sure. Limited to your imagination and your growing zone, you too can eat your security! LOL. 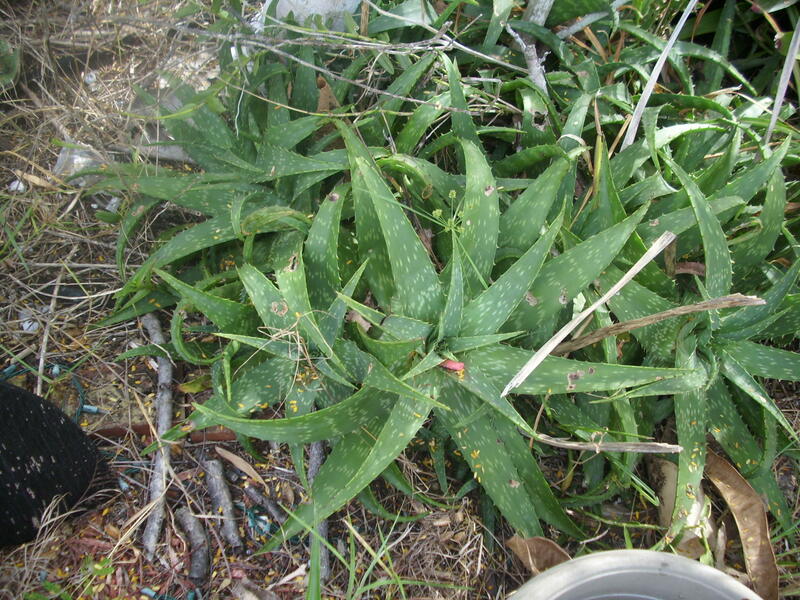 Medicinal Perimeter Security: Aloe Vera. Planted a while back, these small plants grow and multiply with little maintenance. It’s great to run out and cut some Aloe when you really need it. All these plants together make a fine perimeter zone of flesh gnarling thorns making for difficult terrain. Nice. Check with your local Extension Service to find out the best plants for your area. Then, have fun choosing and planting! Dont forget to water and feed! This entry was posted in security and tagged impenetrable barrier, perimeter secutiry, prep, prepare, survival, survive. Bookmark the permalink.